If your newsroom isn’t diverse, you’re failing at journalism. 2017 should be the year that publications should finally embrace this notion. A newsroom that represents the country we cover is what a newsroom is supposed to look like. Anything short of that is wrong. If the mission is to hold our institutions and politicians responsible, to inform readers, to uncover corruption, even to tell a good story — it cannot be done with one kind of voice, with one point of view. This is my optimistic prediction: Newsrooms in 2017 will take more dramatic steps than ever before to create a diverse staff. And it’s not an unreachable goal. We give lip service to the idea constantly — yet it’s painfully clear how far we need to go. Let’s make 2017 the year newsrooms finally evolve — or else creep closer to extinction. Let’s talk about the next four years. A new administration is at foot, and with it nascent movements are growing across the country. How will those sentiments be accurately covered with empathy, nuance, and authenticity? We need people in those communities to capture the messages, the angst, the people who make up the groups. If we don’t have reporters who vary in race, religion, economic status, and education, we will fail a core journalistic mission of capturing the pulse of our nation. Take The Washington Post’s Wesley Lowery. His reporting on Black Lives Matter gave readers a better understanding of the movement and beautifully captured the sentiments, struggles, and voices of a movement that will continue to grow. If you say there aren’t enough qualified candidates from diverse backgrounds, you are failing yourself, your news organization and your audience. The problem is not with the candidates. The problem is that you’re looking in the wrong place, and not looking hard enough. So change it up. Stop looking in the same places; stop doing the same thing but expecting a different result. Talk to different people. Recruit from smaller towns, smaller news organizations. Tap into the many diverse leadership programs out there. Meet high school students and become a mentor. Encourage the newsroom to recommend solid candidates they know. Many news organizations are doing these things — but one problem remains: Recruiters are looking for candidates who have resumes that are identical to the journalists they are used to hiring. This is unacceptable. Managers need to look beyond the resume and hire people who are, essentially, different. Newsrooms need to take more risks. Not everyone on the political staff of any publication should be a Washington insider, and not every correspondent should have attended an Ivy League school. Someone who contributes to newsroom diversity will have a background different from what you know, what you expect. That’s okay. Embrace it, and even look for it. Again, it’s all about the journalism — and having people with a wide range of unconventional experiences doing the journalism will only make your newsroom better. Maybe you believe this responsibility falls on management. Maybe you think that you have no control over the quality and the breadth of the resumes that land in your inbox. Stop thinking like that. As The Undefeated’s Kevin Merida says, lead from where you are. We all have the ability to make newsrooms more diverse — no matter what our position is. Always put in a word for candidates you know or have worked with in the past. Become a mentor, seek out a mentee. Raise your hand when the coverage seems ignorant, simplistic or troubling. For some of us, it can be daunting to feel like the brown or black or gay person in the newsroom — and there’s a fear that advocating on behalf of other non-white or non-straight candidates will encourage others to see your race or sexuality as your sole identity. But your work will speak louder than the color of your skin For journalism, this is not a time to stay silent. 2017 may be the best year to make this happen. And let’s make it stick. Management’s interest in diversity can ebb and flow — more pressing matters appear, and minority hiring takes a backseat. But next year is a good time to start. Let’s not stop until newsrooms across the country take steps to improve diversity on their staff. As Washington Post editor Marty Baron said in accepting the Hitchens Prize, it’s a good time to talk about values. A lot could change in the coming year, but as journalists, we do what we always do: “Just do our job. Do it as it’s supposed to be done,” he said. And to do that job, we have to make sure our newsrooms reflect the rest of the country and give those unheard voices a platform. It’s important to stress the urgency of this — if we don’t get this right, our journalism will become obsolete. 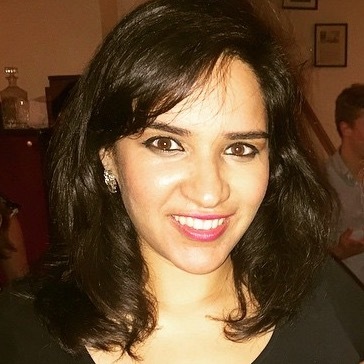 Swati Sharma is deputy general assignment editor at The Washington Post. Dec. 19, 2016, 2:36 a.m.